Des Moines, Iowa — Iowa workers gathered in the Hawkeye State to commemorate Workers’ Memorial Day and continue the fight for safer working conditions. 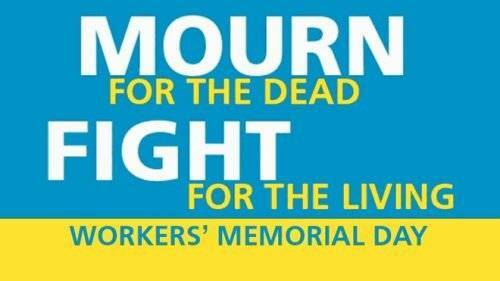 Workers’ Memorial Day on April 28 is an international day of remembrance for workers killed or injured on the job. 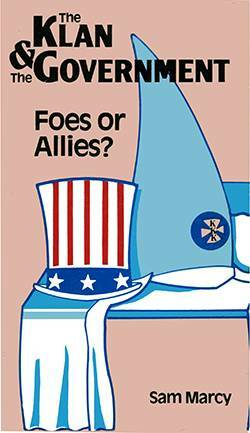 To mark this somber occasion, Iowans assembled in Bettendorf, Cedar Rapids, Clinton, Council Bluffs, Des Moines, Dubuque, Iowa City, Sioux City and Waterloo for ceremonies from April 26 to April 28. Reynolds’ words were soaked in crocodile tears, for it is her policies and those of her cohorts that endanger workers by attacking unions and supporting deregulation policies. If Reynolds and fellow “right-to-work” (for less!) devotees continue to have their way, more workers will risk their lives, and this will have devastating consequences for their communities. A recent AFL-CIO report titled “Death on the Job: The Toll of Neglect” found that “150 workers died on the job each day from preventable, hazardous workplace conditions” and called that “a national crisis.” The “Death Toll” report concluded that the most dangerous sectors of industry are in agriculture, construction and transportation. It is not surprising that President Donald Trump, an iron-fisted defender of the exploiting class of millionaires and billionaires, did not acknowledge or make reference to the occasion of Workers’ Memorial Day. Workers cannot rely on the empty promises of Democrats or Republicans made on the campaign trail, or on the “good will” of those in elected office. Only when workers stand up to take power into their own hands can they secure safer working conditions and a higher standard of living.